This screen lets you configure your deploy options and change the language the IDE uses. The information on this screen is used to deploy your app to a server, other than the AppStudio Server). For more information on deploying, see Testing and Deploying and Tech Note 05, “Distributing your App”. Global Location: If set to Global Location, the app is deployed to the default location. Project Location: This allows the deploy location to be overridden for the current project. Deploy to App Studio test server: This is the default and will work without any extra setup. It is intended for testing only: do not rely on your app being available there forever. No PHP. This is the only option during the Demo. Deploy to server listed below: This is the most powerful and permanent solution. It involves getting a website of your own with the appropriate settings. Pay special attention to Tech Note 05: there are some specific things that need to be set up on the server for it to work properly. Deploy to a local or Dropbox public server: Apps deploy and run well using your DropBox Public folder. Just give people the public link to the index.html file for your app, or you can set up a local server on your own system. This is good for testing, but not usually very good for outside users who want to run your app. Protocol Does your site use SFTP or FTP for file transfers. SFTP is faster and more secure. Server The name of the server. For example, nsbasic.com. Do not put http:// as part of the path. Port The port the server uses for file transfers. The default is usually correct. Path The directory to install to on the server. This can be blank. If the directory does not exist, it is created. Username The user name used to ftp into your site. Password The password used to ftp into your site. SFTP key An RSA key file authorizing SFTP. Only works with RSA keys. Will not work with elliptic curve style keys. If the SFTP Key field has a path in it, the key is used. If it's empty, password auth is used. If the Password is filled in, that password is used to decrypt the key - not to log in! If the Password field is empty, then it's assumed the key is not encrypted. Local Path The path on your local system to deploy to. Save on Deploy? Whenever you run or deploy your app, your entire project will be saved. 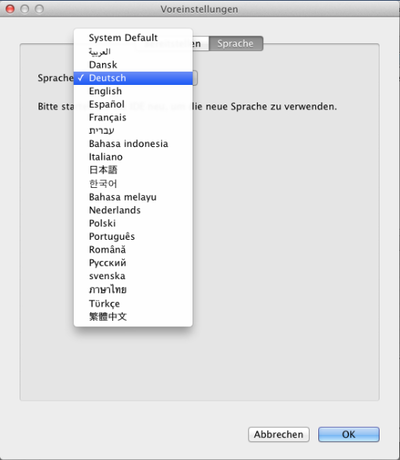 On startup, the IDE looks at the system default language, then loads the appropriate language table. Languages which are fully translated include Arabic, Chinese, French, German, Indonesian, Italian, Japanese, Korean, Polish, Russian, Spanish and Thai. Languages that are partially complete include Danish, Dutch, Hebrew, Malay, Portuguese, Romanian and Swedish. The translations are being done by over 50 hard working volunteers. If you want to help or add another language, contact us at support@nsbasic.com. 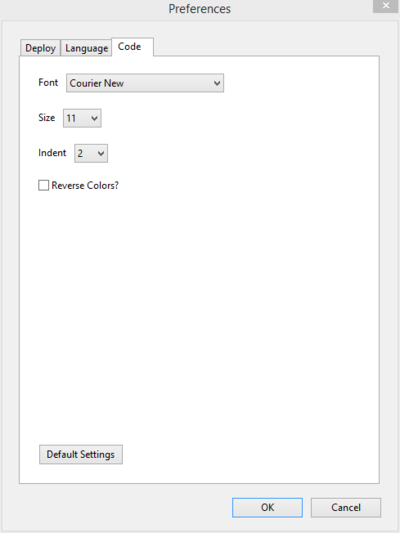 The Code Preferences let you select the font name, size and the number of spaces for a tab in the Code Window. The panel lets you set the preferences for the Volt Server. If you already have a Volt account, enter its Email and Password here. 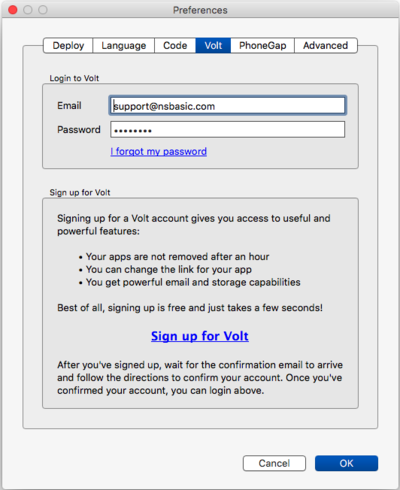 If you do not have one, click on "SIgn up for Volt". You will be asked for information. Once complete, the Email and Password will be updated automatically. The panel lets you set the preferences for PhoneGap. 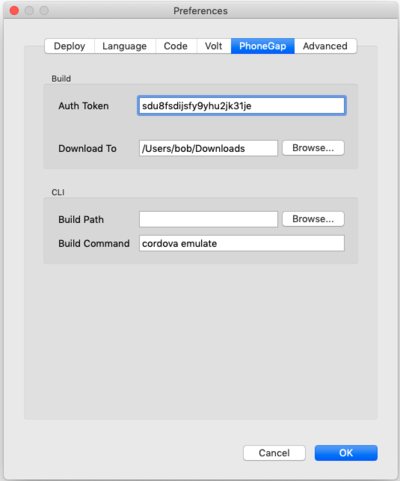 If you are using PhoneGap Build, your Auth Token (from your PhoneGap Build account) should be entered here. 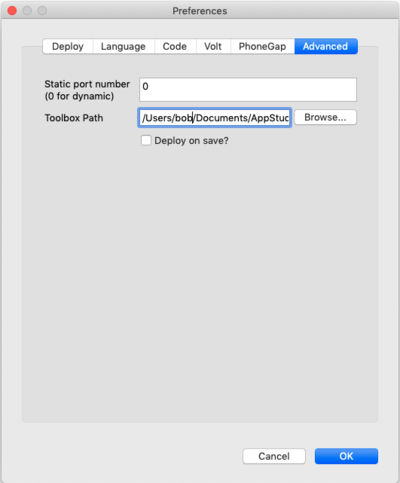 If you are using PhoneGap CLI, the Build Path indicates where AppStudio should write the files used by PhoneGap CLI. It defaults to the project's current folder. The Build Command is the command to run once the files have been written. It defaults to build and run in the Android Emulator. Static Port Number: Normally, Deploy to Desktop Browser chooses a random free port number. If you would like it to use the same number, specify it here. Make sure it is free. Toolbox Path: The path to user specified ToolBox Files. 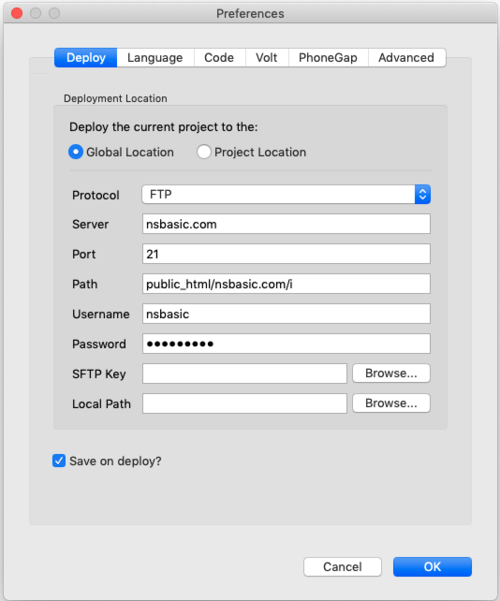 Deploy on Save: If checked, your app will deploy (to the default deploy location) every time it is saved. This page was last edited on 16 November 2018, at 00:12.